The Metropolitan Transit Authority of New York issued a public bid on Wednesday, asking for proposals for a new contactless ticketing system to replace the MetroCard, and potentially allow iPhone users to pay for public transit on their smartphone. Starting in June, the MTA will begin accepting proposals for the "New Fare Payment System" that will succeed the MetroCard for both subway and bus operations. The authority's new system will rely on both smart cards and mobile devices, like Apple's iPhone. The MTA hopes to have the new payment system begin rolling out by mid-2018, first debuting on the Select Bus Service, according to ABC 7. Completion of the project, however, isn't expected to occur until 2021. 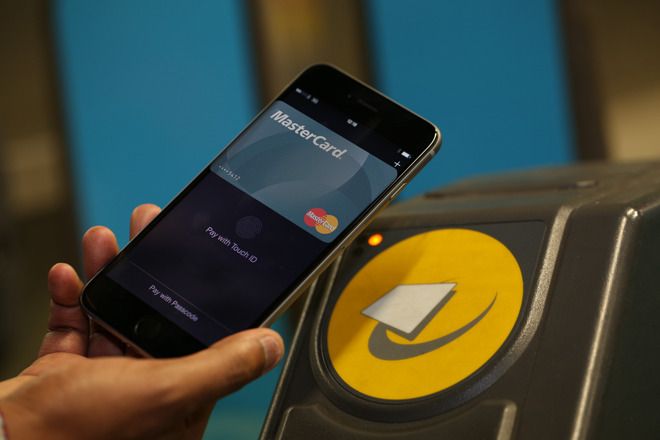 Tap-to-pay technology is, of course, common for public transportation in other major cities, such as the tube in London, Charlie card in Boston, and the Clipper card in San Francisco. But New York City has relied on an antiquated swipe card system since 2003, when it replaced a token system. Of the world's 10 busiest metro systems, only New York City and Mexico City have yet to implement contactless fare cards. Apple's latest mobile devices, including the iPhone 6s and iPhone SE, feature NFC support for Apple Pay at retail. The company is also a member of the NFC Forum, which is working to bring contactless payments to U.S. public transit, potentially signaling that Apple Pay could be opened up to support the likes of the new system the MTA plans to implement. While Apple has not yet opened up NFC in the iPhone and Apple Watch to third-party developers, the company is said to have quietly shown interest in enabling features like transit payments and secure building access. It's possible that those capabilities could be introduced in a future version of iOS.